So today's gag is one of those "parents are so old" gags. 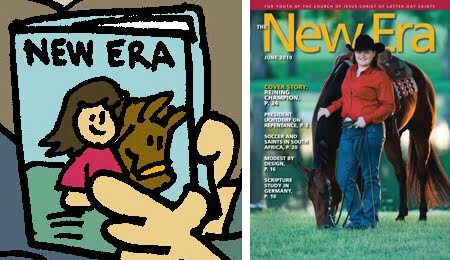 * But it's not the gag that I want to discuss today, instead it's the cover of this month's New Era (within which the gag is featured) that I'd draw your attention to. Check out the similarities between the actual cover and the cartoon cover I depicted in my gag. Cool, right? I've got to believe that the New Era saved this particular comic until they had a cover story featuring a young woman with a horse (they've had the gag for nearly two years). The implications of this are staggering. 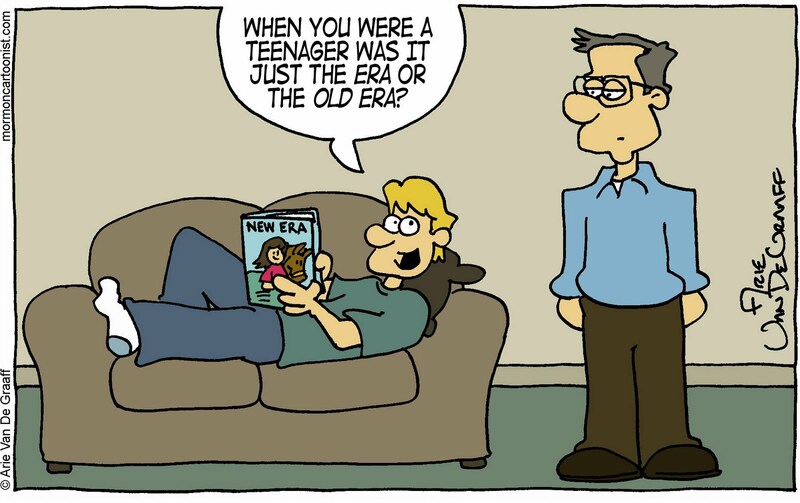 This means that the young man in my joke is reading the very issue of the New Era that he appears in. Just wait until he turns to the "Extra Smile" page of the magazine. His mind will totally be blown! Arie, I'm a little concerned that you are drawing a real-life parallel between your cartoon boy and his actual reading of this issue of the New Era and finding his cartoon. 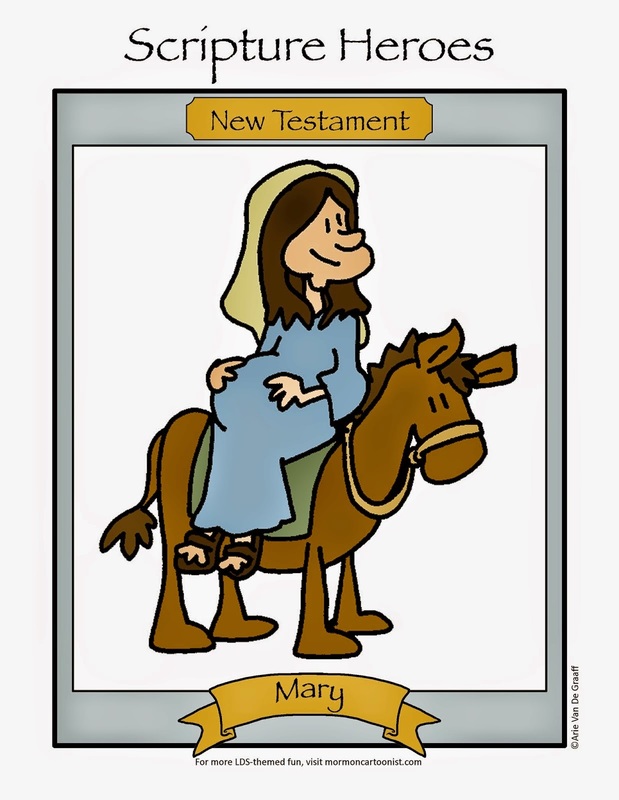 Time before I have wondered about the missionary in some of your cartoons that eerily seems to resemble you.--You don't create your cartoons based on your personal experience in actually living within your cartoons? Sounds like a potential plot for a movie on the Sci-Fi channel. Maybe better as a Doctor Who since the British seem to be much more understanding of convoluted sci-fi plots and their reaching beyond boundaries of "normal" imagination. I love how existential this concept is. Perhaps next month you can publish in The Friend a cartoon about an alternate universe where the kid on the couch has a goatee. 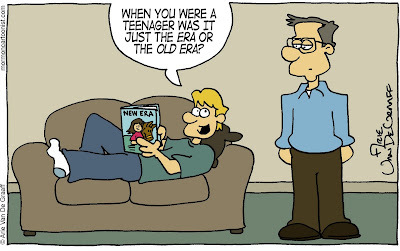 I think the more important point here is that the New Era is using your cartoons as the basis for their issue. I'm mean obviously they looked for a cover story about a girl and a horse because of your cartoon. Do you realize what kind of power this gives you? I mean, you dictate what is going on over there at the church publication office. Use your power wisely. The comments on this post highlight just why I love my readers so much. From this post alone, you've mentioned The Terminator, Doctor Who, the mirror universe from Star Trek, and that creepy episode from The Twilight Zone where the little kid could control everything with his mind (later spoofed by The Simpsons). It's like my very own Sci-Fi version of "My Favorite Things". To show my appreciation for your blog and your love of Sci-Fi, I thought I would add to your comment by penning the words to a verse of "Your Favorite Things." These are a few of your favorite things. I showed the cartoon and the cover to some of the kids at church and they were totally freaked out! For what it's worth, you impressed a bunch of 11-year-olds!